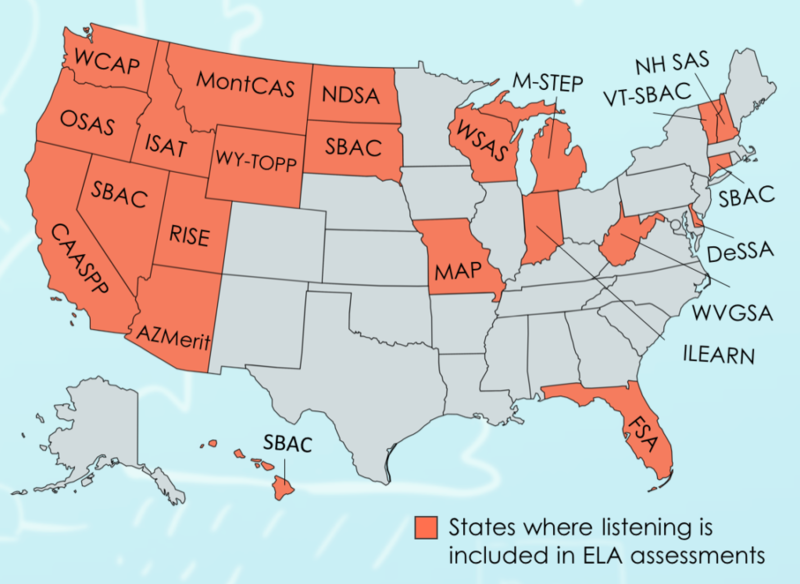 Did you know that twenty-two states now assess listening on their annual English Language Arts assessment? Notably, in Indiana, listening skills are now being tested on ILEARN, and this spring, listening is being tested as part of the English I and II assessments in Missouri. In Texas, the English Learner assessment, the TELPAS, is now bringing their listening component online, which changes the listening experience for students. California tests listening comprehension on the CAASPP and the ELPAC, and many schools we are working with are seeing that listening is a skill that still needs a heavy instructional focus in the classroom. Just 43% of 8th and 11th graders met listening standards last year across California. The shift we are seeing toward teaching and assessing listening makes sense because it is in line with the research on listening and learning – better listeners are better learners.